El Morro (the headland) stands in western New Mexico, and is also known as Inscription Rock. 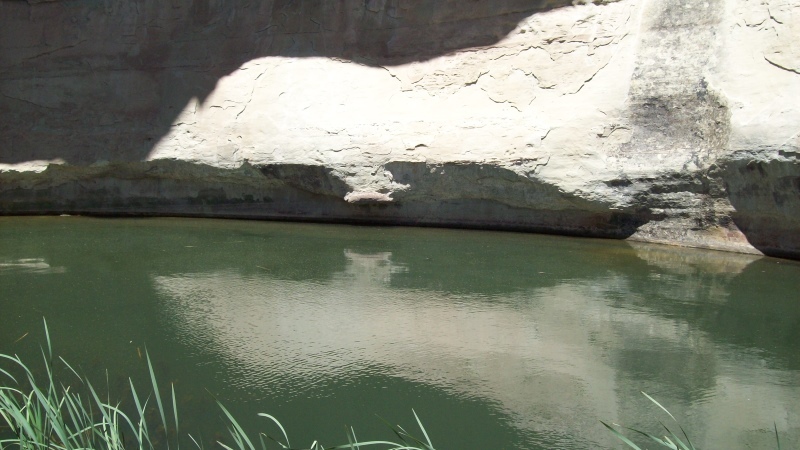 At the base of El Morro is a pool of water that for centuries attracted parched travelers to the spot, many of whom carved dates, names, and messages (including petroglyphs) into the sandstone. The earliest dated carving was made by Don Juan de Onate in 1605. 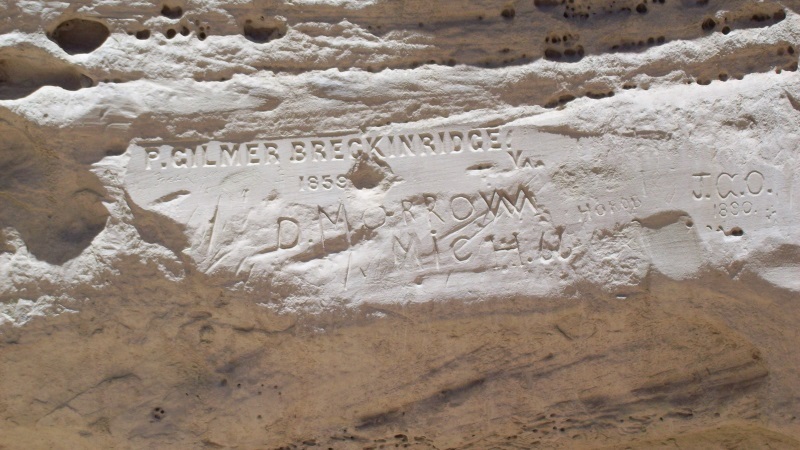 By the time I got there four hundred years later, dry and wind-blown, and snapped these photos, the National Park Service had taken a hard line against further inscriptions, regardless of merit. The Internet will have to do.